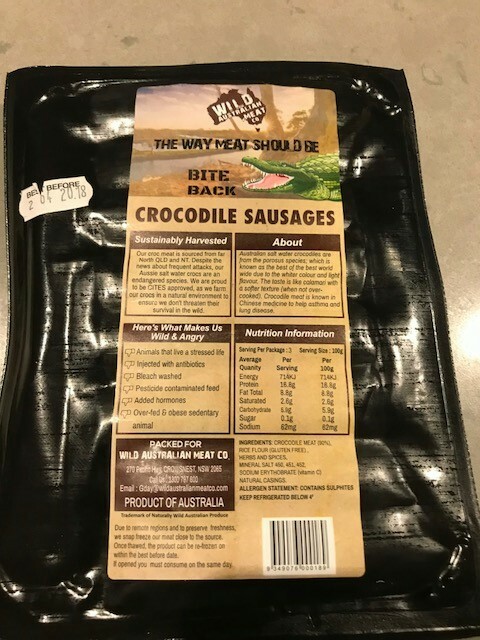 While perusing the meat aisle of Coles supermarket at Tuggeranong recently, I discovered they sell Crocodile! They only had it in two forms, either raw pieces of tail meat, or in sausage form. For $10, I decided to give the sausages a go, and will try the tail another time. So who has had Crocodile before? 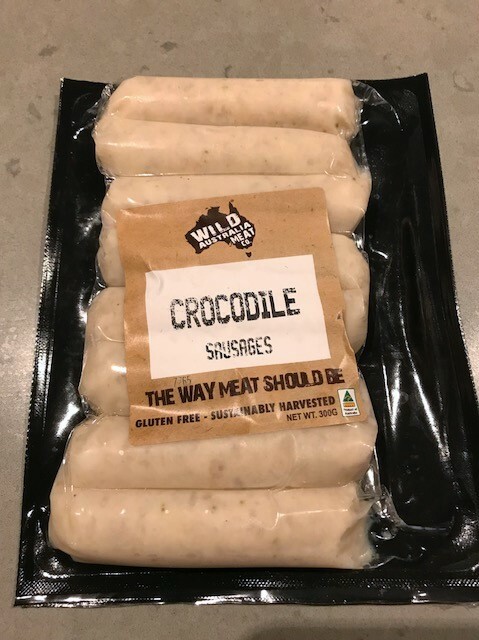 While the sausages were a nice introduction, they were flavoured with herbs and spices so I could not get to taste "true" crocodile flavour. I'll try that next time with the tail meat. 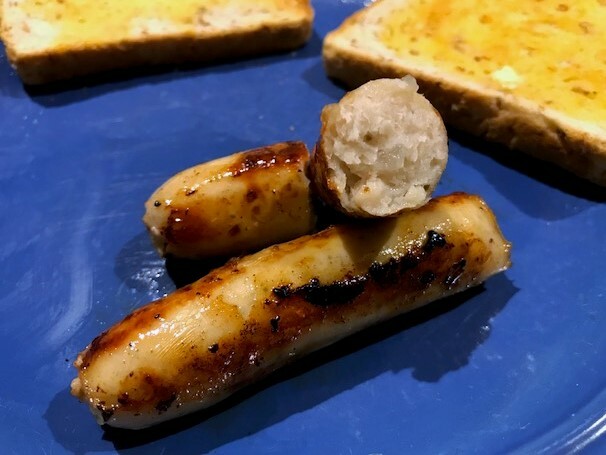 The sausages were very pale in colour, which made it a little hard to gauge when they were cooked, but being small they cooked up fairly quickly. Every time I turned them over in the pan I had the song "Never smile at a Crocodile" going around and around in my head!!! They tasted very nice and had a slight peppery edge from the spices used. 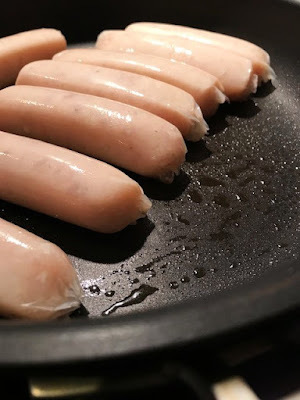 We had them as a quick breakfast with toast and tomato sauce. Would I have them again? Probably, but I might baulk at paying $10 for a package of 8 chipolata sized snags. 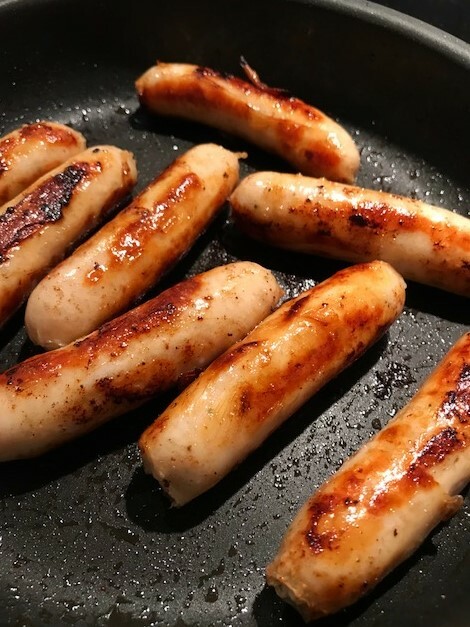 Nutritionally they were high in protein for a 100g serve (about 3 sausages) , low in saturated fat, and pretty low in sodium. Not an everyday food, but a good one to experiment with for trying something new. Wow, and they had it in the local supermarket! I've never eaten crocodile, so thanks for sharing your experience. Hi Elissa, yep at Coles! I will have to try the Croc tail meat next, as that is pure meat so I'll be able to taste it (opposed to spiced up snag). I wonder what other cuts of meat come from a croc? I must look that up. Thanks for stopping by.